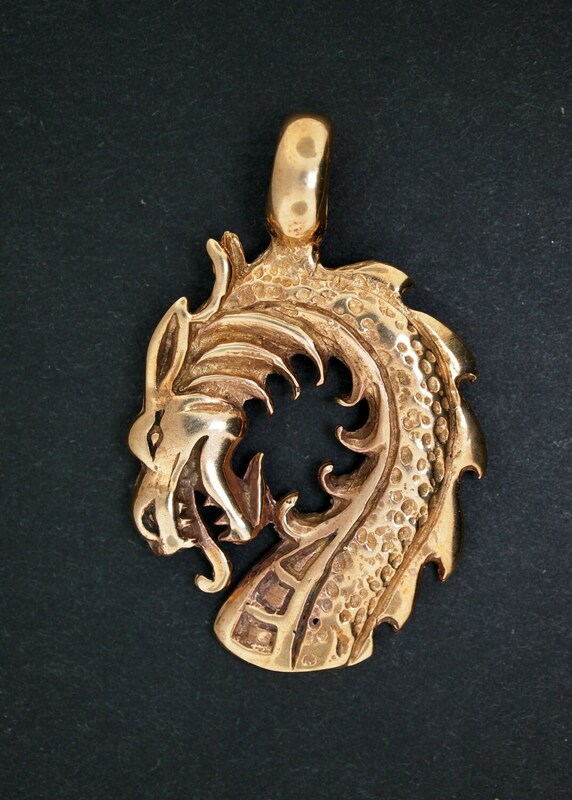 This dragon head pendant is made in antique bronze, which is a mixture of 90% copper and 10% tin, and is 1 3/4 inches long and 1 1/4 inches wide. The bail is rather large, and can easily handle a 1/4 inch chain. It's a very solid piece, and can easily be worn every day. Sent quickly and safely.It's beautiful! My daughter loved it. She got it for Christmas. Thanks. June. 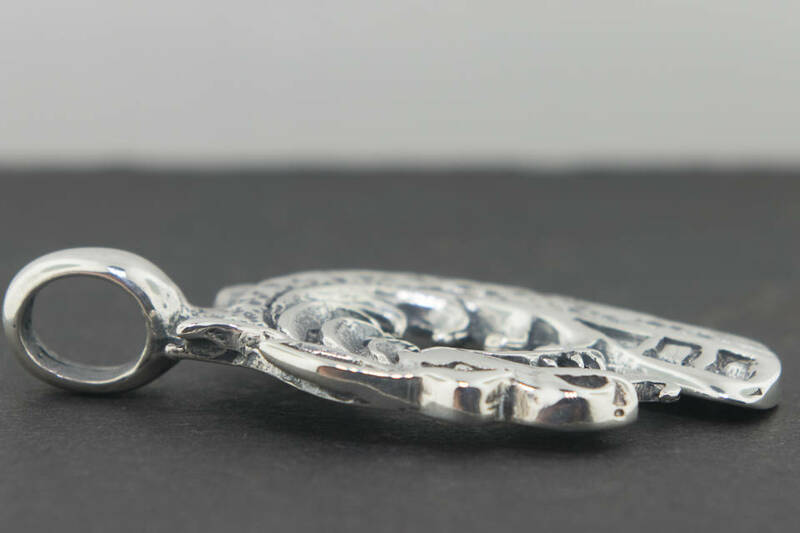 Really nice pendant. My husband loves dragons. He prefers goldtone and I just couldn't afford gold. This is such a great alternative.